Browse the Sylvane weekly ad circular & flyer sales. Discover the best Sylvan Deals, printable coupons, and online specials & clearance offers. 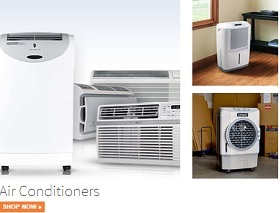 Here you’ll find the current Sylvane Ad featuring great prices for: Danby Premiere DDR070BDWDB 70-Pint Dehumidifier; Whirlpool Whispure AP51030K HEPA Air Purifier; Honeywell HPA300 True HEPA Whole Room Allergen Remover Air Purifier; Germ Guardian AC5250PT 3-in-1 UV-C HEPA Air Cleaning System; Coway AP-1512HH Mighty Air Purifier with True HEPA Filtration; Ladybug XL2300 TANCS Vapor Steam Cleaner; and more. Sylvane is located at 245 Hembree Park Drive, Suite 124, Roswell, GA 30076. Find all deals and offers in the latest Sylvane Ad for your local store.